Have your crooked or crowded teeth been a perpetual embarrassment? Are you too self-conscious to smile? If so, maybe it’s time to do something about it. Dental research and technology has made it faster and easier to straighten teeth today than ever before. You may even be able to have straight teeth in six months rather than two years. 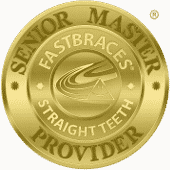 If all you want for Christmas is straight teeth, treat yourself to Fastbraces®. Some cases of mildly crooked or misaligned teeth can be treated with a dental bonding procedure or veneers, but if you are a candidate, you may be able to have perfect teeth with Fastbraces® in six months to a year. Unlike typical braces which take two years to move your teeth–the first year is spent moving the crown of your tooth (that’s the part of the tooth that you can see), and the second year moves the root­–Fastbraces® can move your teeth more quickly by utilizing a special type of bracket and a single wire that together move the root and crown simultaneously. Although your teeth are being repositioned faster, most people report less discomfort with Fastbraces® than with typical braces. If you’re self-conscious about having braces, you can choose clear brackets to blend with your teeth. Your Celina Family dentist provides comprehensive dentistry for the whole family including Fastbraces®. To learn more, or to schedule an appointment with Dr. Angela Ganjoor at Celina Family Dentistry call (214) 851-0130. Located in the 75009 area, we serve patients of all ages from Celina, Prosper, McKinney, Frisco, Anna, Pilot Point, and the surrounding areas.